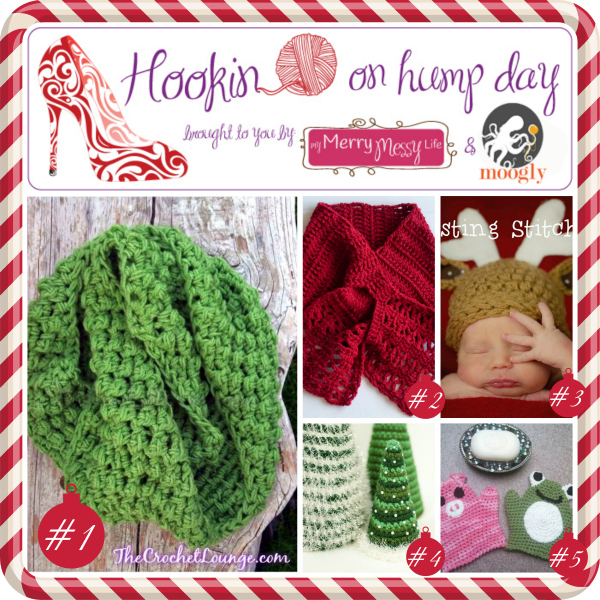 It’s time for the last Hookin On Hump Day of 2013 – and we’re wrapping up a fantastic year filled with amazing projects! I was so happy to come on board this year and join Sara from My Merry Messy Life as co-host – and get to know all of you! And once again, of course, both Sara and I will be sharing the featured posts on our various social media channels. One party, twice the promotion! So let’s get to it – this round crochet swept the field! #1 Most-Clicked Link – Crochet Chunky Cowl – Bricks and Bobbles, by “e” Lee of The Crochet Lounge: A free crochet pattern that’s easy to memorize and quick to work up with a Q hook! #2 – Josette, by Clotilde Menendez of Craftybegonia: Free crochet pattern! #3 – Silly Reindeer Hat, by Stacey Williams of Busting Stitches: Free crochet pattern! #4 – Cone Christmas Trees, by Kara Gunza of Petals to Picots: Free crochet pattern! #5 – Animal Wash Mits, by Elena Hunt of Beatrice Ryan Designs: Free crochet pattern link! Get Moogly on your favorite social media sites: Facebook, Twitter, G+, Pinterest and Tumblr, and sign up for the Newsletter so you don’t miss a thing! 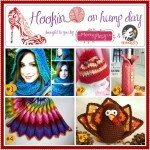 Look for the next Hookin On Hump Day on January 7th, 2014! 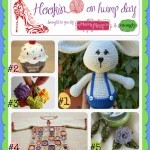 Hookin On Hump Day #37 – Link Party for the Fiber Arts! Great link up! 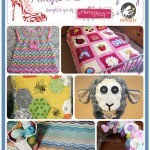 I need to create a blog so I can join in, I just have my FB business page and Ravelry shop right now. 😀 Thanks for linking up Rhondda!